Mitchell & Ness Hardwood Classics on-court style jersey. Everything is printed on. Hand-signed in silver paint pen by Michael Jordan (Bulls, HOF). The jersey is limited edition and has been hand-numbered #23/123. 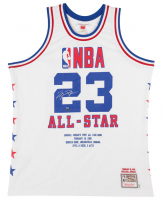 You are bidding on an authentic 1985 NBA All-Star Mitchell and Ness jersey hand signed by Michael Jordan. This was Michael Jordan's rookie year and he did not disappoint. Don't let this one pass you by, a must have for any Jordan collection. 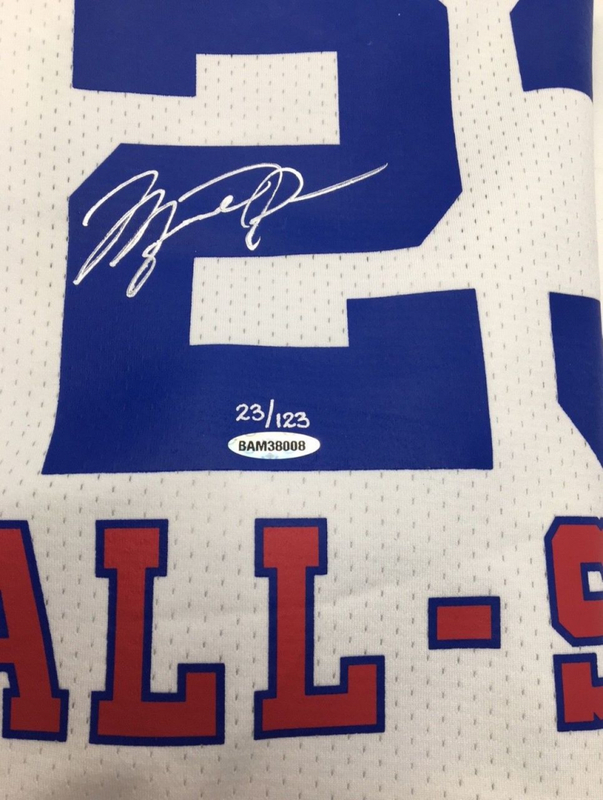 The following stats from the game have been embroidered on the jersey: Michael Jordan's First All-Star Game. February 10, 1985. Hoosier Dome, Indianapolis, Indiana. 7pts, 6 Rebs, 2 Asts. 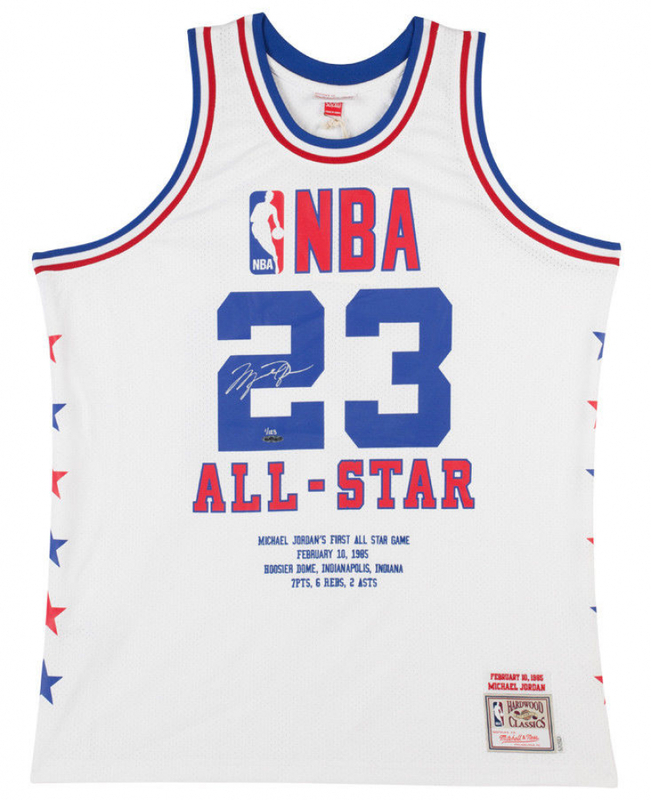 Jordan has autographed this Mitchell & Ness 1985 NBA All-Star Game jersey in silver paint pen. 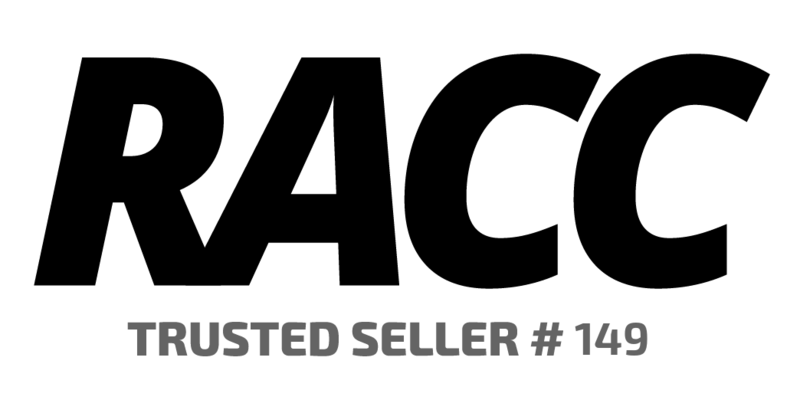 His signature is deemed authentic by virtue of Upper Deck Authenticated's Five-Step Process. Winning bidder will receive number "23" from the edition. Authentication: UDA COA. Includes certificate of authenticity and hologram! 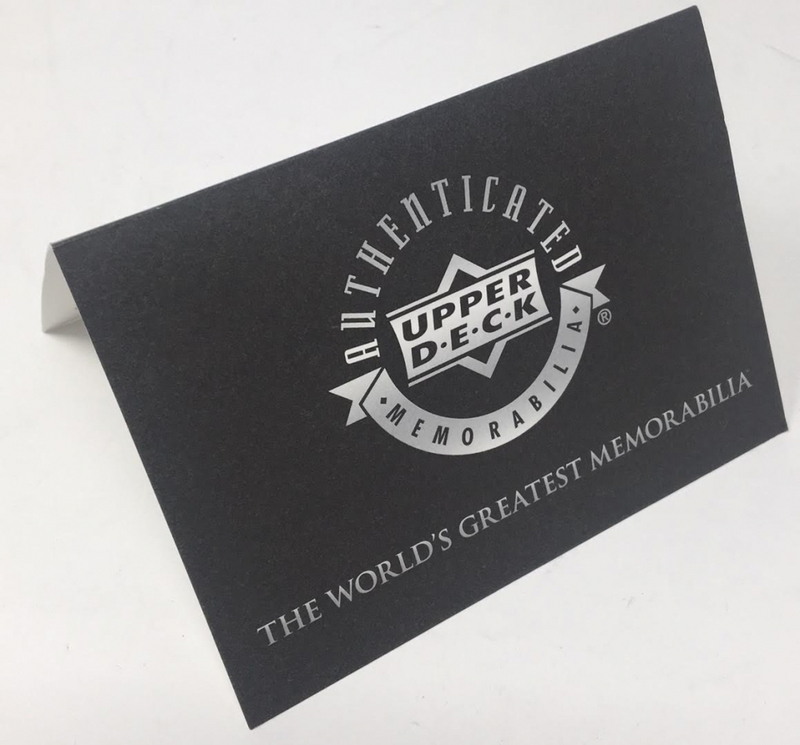 Jordan's signature is guaranteed authentic through the Upper Deck Authenticated serial numbered hologram system.